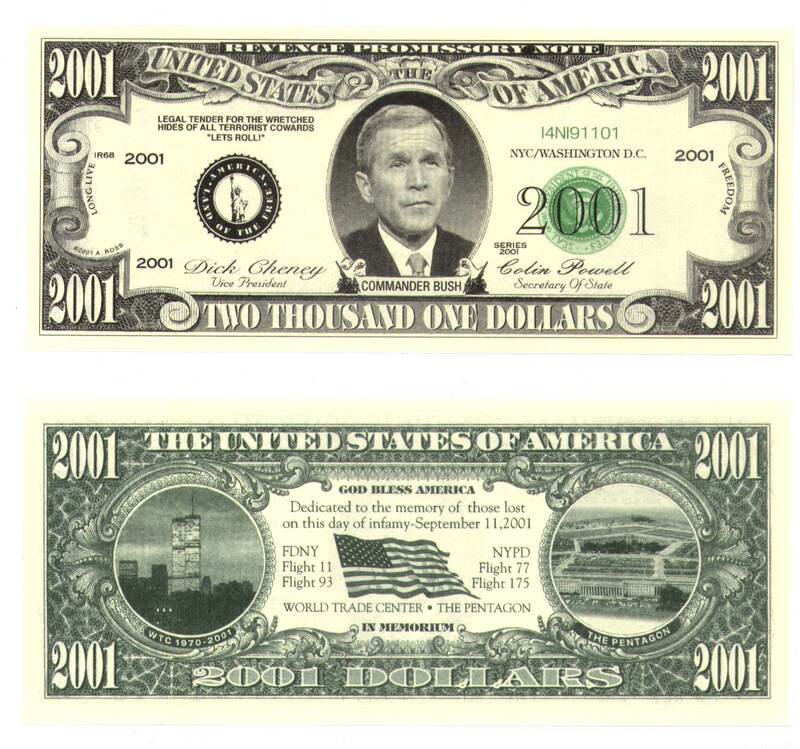 What a GREAT TRIBUTE to 9-11-01! HOT OFF THE PRESSES! Limited Quantity... Exclusive! Click here to view/order the other 36 designs. 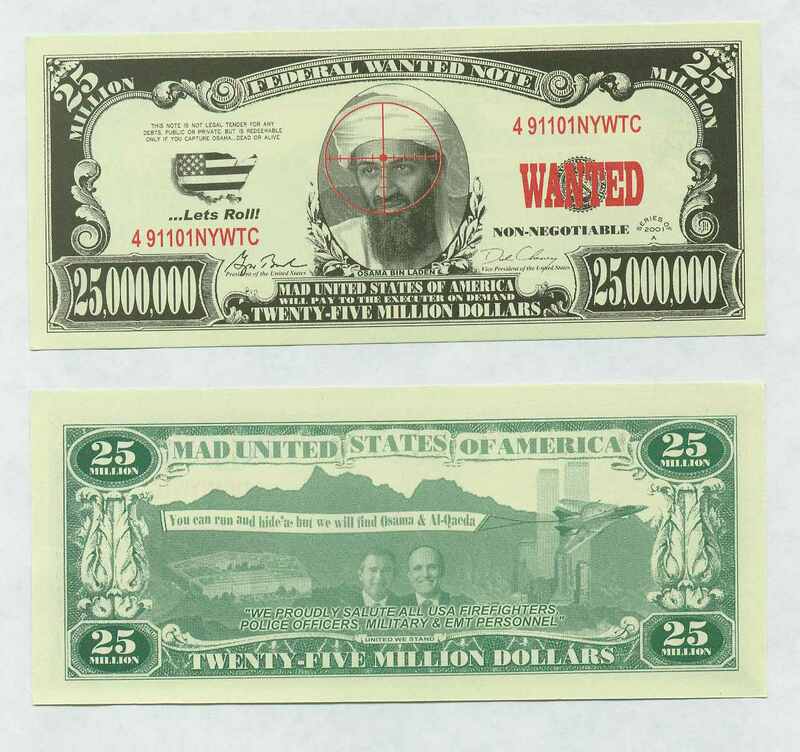 Includes the New Osama Bin Laden Dollar Bill! GREAT TO PASS OUT TO EVERYONE YOU MEET... A COLLECTABLE!! 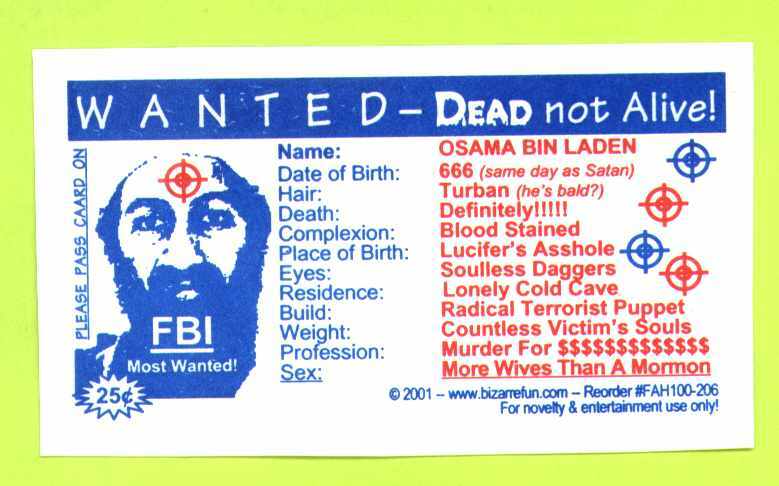 Click here for 11 other NEAT 'Osama' designs (Patriotic cards included too)! S&H IS WAIVED TO HELP US DISTRIBUTE, INEXPENSIVELY, THIS CARD NATIONALLY... ORDER PLENTY!!! Windshield Bullet Holes, Pee Boys, Wacky Decals That Make Fun Of Franchises plus Risque & Humor Decals.